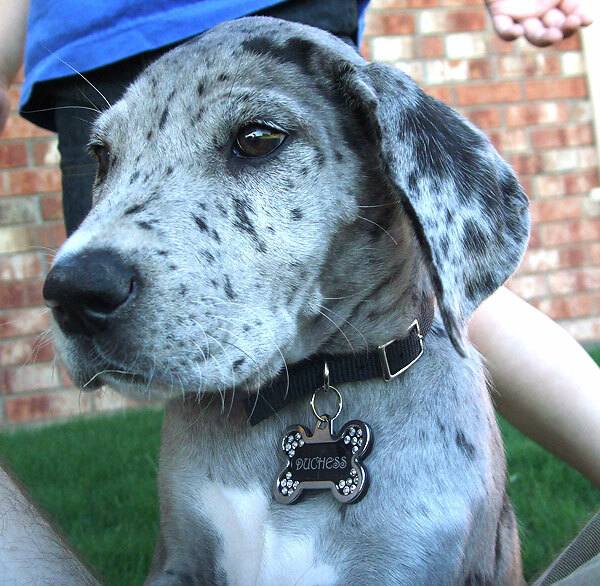 Duchess the Great Dane – quite the diva, an unregistered merle Great Dane that has quickly forgotten her roots as a mud-covered white trash puppy living off Pabst Blue Ribbon and Pork Skins. 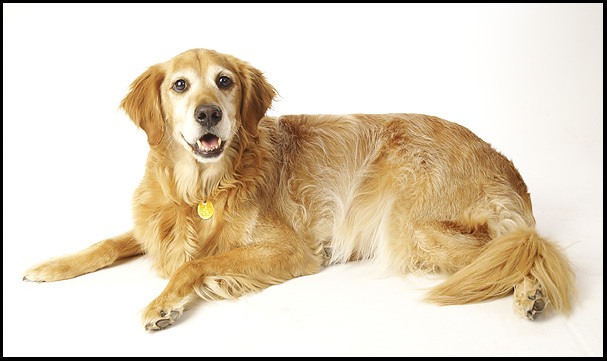 Jake the Golden Retriever – quite neurotic, a mama’s boy, and just beginning to have dealings with arthritis. He can speak volumes with his expressive eyes. 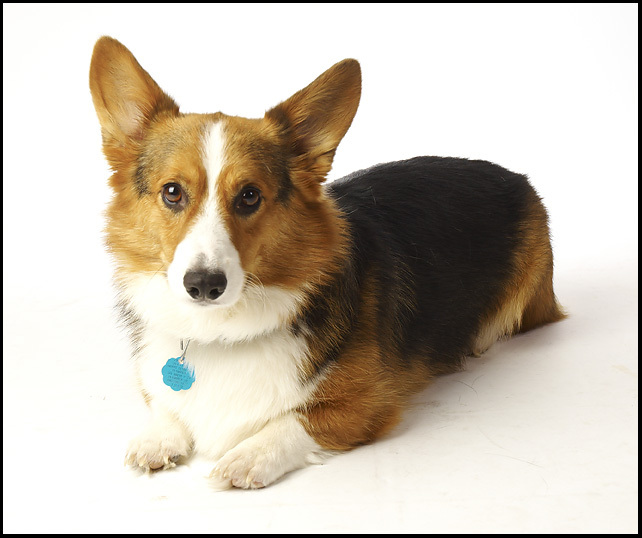 Oliver the Anti-Social Pembroke Welsh Corgi – you won’t see much of Oliver in this blog because he’s always too busy ignoring everyone, content to be cuddled up under a chair, table, sofa, magazine, you name it. What can I say, he’s British. 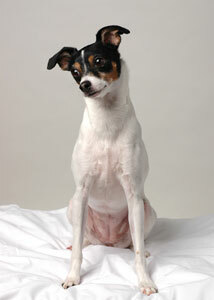 Dottie – our beloved rat terrier that had to be put down a couple of years ago. Every once in a while I make references to her so I thought I should include her here. 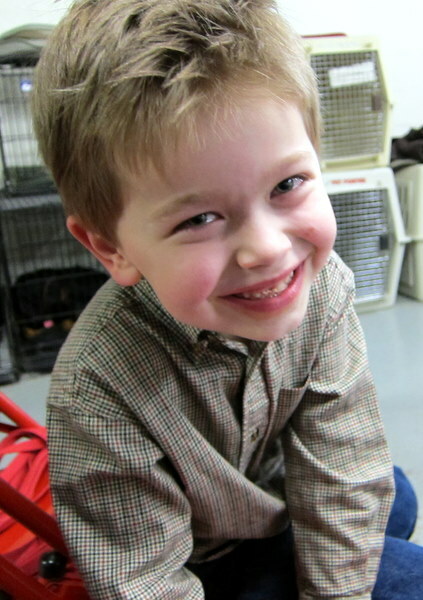 “The Boy” – our son who is always in the middle of whatever it is we’re doing. He can go from loving the dogs to wanting to slaughter them for winter fuel in a matter of .02 seconds. They really know what buttons to push to send him into orbit. And last but not least… my stunningly beautiful wife *ahem* let me clarify.. my Vampire Wife. She is named this because she never sleeps except for in the daytime. Well, that and the feeding on the blood of the innocents. So there you have it – hopefully this clears up some confusion for some of you (infidels!) that haven’t read my blog from day 1. Jason, you do have a gift. I’m going to have to read your column to “hairy” and “alifair”. It’s kinda like my dad reading me the “Katzenjamer Kids” a hundred years ago. Thanks for the comment Rollie – hope your furkids are doing well. My mom wants to send your mom something via email. Could you have your dad email my mom tomorrow at her work email with your mom’s email address? That’s where the thing is that she wants to send your mom is at. Her email is dlewando@allstate.com. hey jason, ive really enjoyed your blogs! they give me a good laugh. 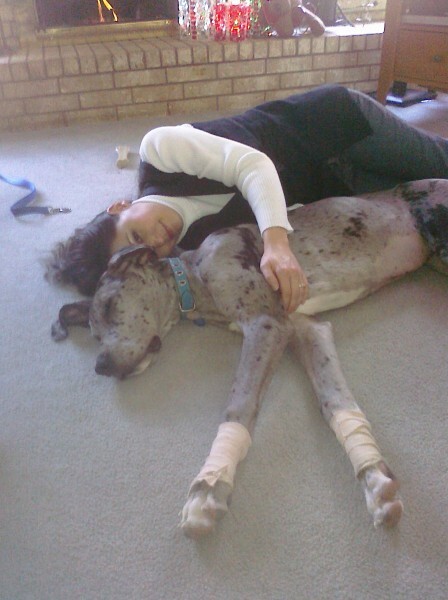 i have a dog as well, and its funny to hear stories of others’ plights with them.. hope you and laurie are doing well! keep up the good work! Great blog. We are happy to stumble upon it. We’ve been proud owners of a golden retriever puppy and a great dane puppy. 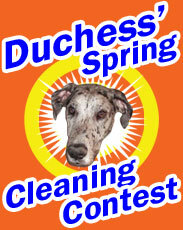 I am sure that we can learn much from what you’ve gone through with Dutchess (and Jake).